VAHTS Multiplex Oligos Set 1 for Illumina® (Vazyme, #N323) is specially designed for RNA library preparation for Illumina® platforms. 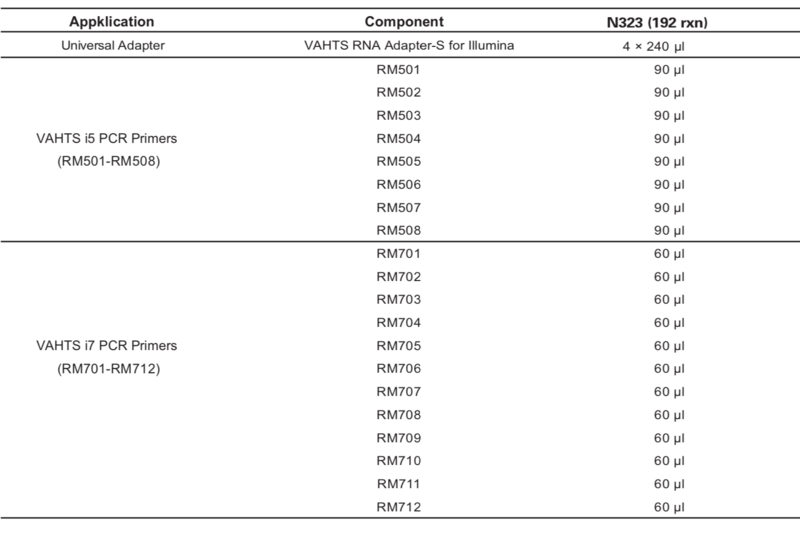 This kit contains VAHTA RNA Adapter-S for llumina®, 8 kinds of VAHTS i5 PCR Primers, and 12 kinds of VAHTS i7 PCR Primers. Using this kit and VAHTS Multiplex Oligos Set 2 for Illumina ® (# N324) together, VAHTS mRNA-seq V3 Library Prep Kit for Illumina® (#NR611) provids libraries with 96 kinds of different dual-index combinations. 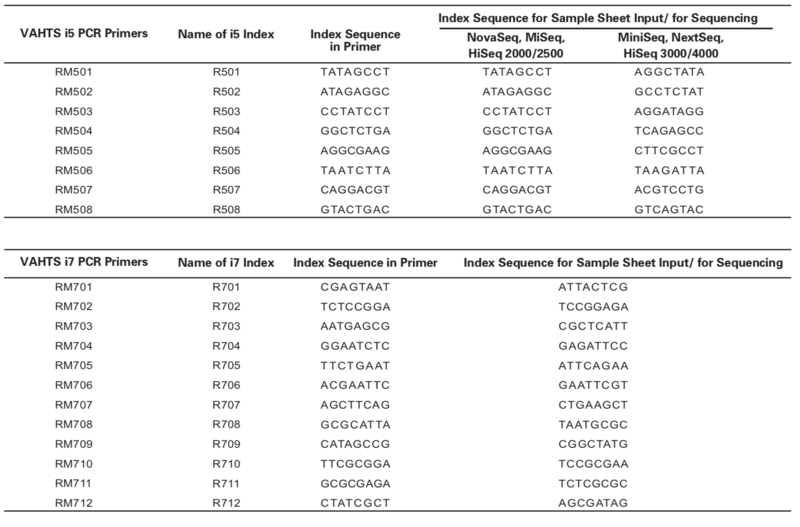 Contains VAHTA RNA Adapter-S, 8 kinds of VAHTS i5 PCR Primers, and 12 kinds of VAHTS i7 PCR Primers. Click the button below to add the VAHTS™ RNA Multiplex Oligos set 1 for lllumina®, 192 rxn | N323 to your wish list.